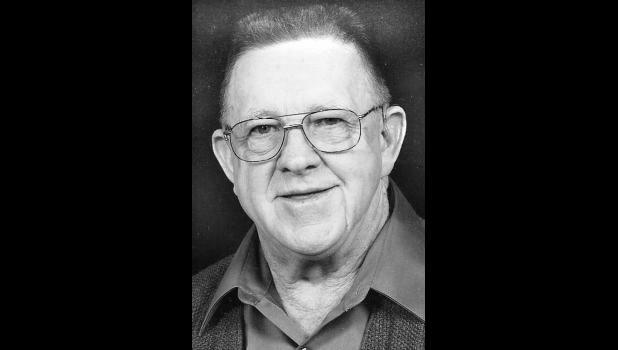 Jack Loren Beightel, 80, Holton, passed away Sunday, Nov. 8, 2015, surrounded by his family, at Stor­mont-Vail Hospital, after a long ill­ness. He was born Dec. 23, 1934, in Holton, the son of Jess and Edith (Jackson) Beightel. Jack graduated from Holton High School in 1953 and had at­tended Kansas State University for two years. He joined the Kansas National Guard and was a member of the first unit in Holton, serving for eight years. Jack worked for Anderson Construction and DX Service Station, both in Holton. He later farmed with his grandfather and father, and he eventually owned and operated his own farm until retirement in 2009. Jack was a member of the First United Methodist Church, where he served on several committees. He was instrumental in the formation of the Eagle Aerie Club in Holton. He was past president of Jackson Farmers and Jackson County Farm Bureau Association. His passion was being part of the Holton High School Football Chain Gang for more than 45 years. On Nov. 29, 1959, he married Karen Shell in Atchison. She sur­vives of the home. Other survivors include four daughters, Terri Keitel (Ward) of Holton, Dina Rankin (David) of Ellsworth, Gail Wood (Kelly) of Muscotah and Joni Woltje (Chris) of Netawaka; 10 grandchildren, Matt and Shane Torrey, Josh and Laura Rankin, Emily and Jacob Wood, Mason and Bailey Hamilton and Jesse and Adam Woltje; a great-granddaughter, Claire Torrey; a brother, William “Bill” Beightel (Brenda) of Topeka; mother-in-law, Jo M. Shell of Atchison; brother-in-law, Bill Shell (Rhonda) of Atchison; and several nieces and nephews. Memorial services will be held at 10:30 a.m. Thursday, Nov. 12 at First United Methodist Church in Holton. Inurnment will follow in Holton Cemetery. Family will greet friends from 6 p.m. to 8 p.m. Wednesday at Mercer Funeral Home in Holton.